Make kindness one of your corporate goals. Business is about solving problems. The more problems you solve, the more profitable you become. However, is it all about the money? According to this 2016 report on millennials, it appears that they prioritize purpose over profit. Plus, a recent Forbes post shared that as a whole, millennials are more prone to buying products that support a cause and are also more philanthropic than previous generations. So, bottom line: If you want to attract millennials, perhaps adding compassion, mindfulness and kindness to your corporate goals would be a good idea. First … your employees will experience it. Then … your customers will feel it. 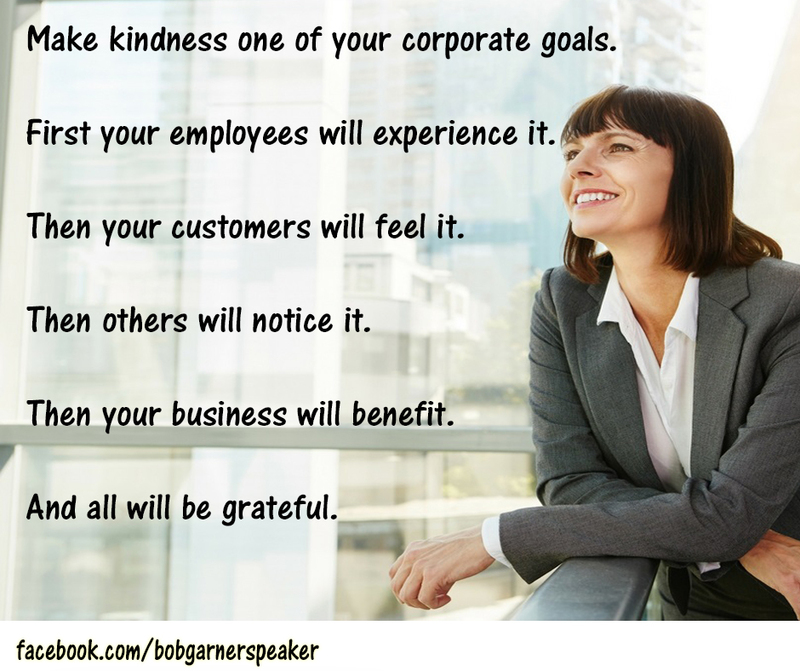 If the employees feel that kindness is truly a key goal, then they will pass that on to the customers. Good word of mouth is always a plus, and when a company becomes known for kindness and compassion – then the specific industry (and perhaps other industry) will notice, followed by media, social media, etc. A 2015 post in Forbes titled, “Why a Corporate Culture of ‘Kindness’ is Good For Your Brand,” highlights a just a few reasons why being mindful, kind and compassionate will not only get you noticed, but is good for that bottom line. The whole world would breathe a huge sigh of relief and be grateful that a group of people not only talk about kindness and compassion, but also deliver it (setting the proverbial example). Business is about solving problems and the more problems you solve, the more profitable you become. But, is it not possible to solve those problems yet do so in a way that includes kindness? 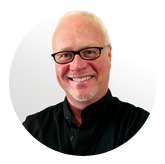 Bob Garner is an author and busy speaker who addresses being mindful, kind and compassionate in his talks, worldwide. He also makes his talks funny and entertaining. http://www.bobgarneronline.com.